Join us for a fun evening with friends and family, including dinner, dancing, raffles, live and silent auctions. All proceeds benefit the Rebeckha Lynn Whitefield Foundation, which has donated over $400,000 in support of families’, education, sports and community programs throughout the region. Attention: Donations of any kind are gladly accepted. The Rebeckha Lynn Whitefield Foundation has donated green screen video technology to the Attleboro Public Schools. This technology will help schools with project based education. Click the Double ACS Video button for more details. 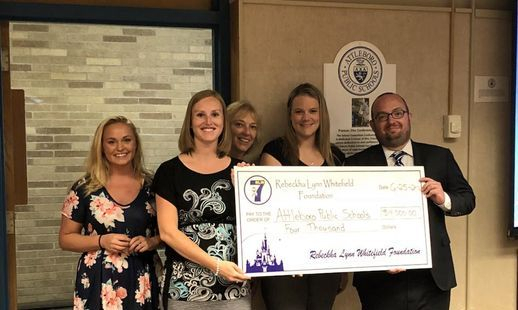 "Thank you to the Rebeckha Lynn Whitefield Foundation for your very generous donation that will be used to purchase green screen kits for our schools." Tragically, we lost Becky 10 years ago this year. For this year only, in recognition of this sad anniversary and to show Becky that her memory continues to shine bright, the foundation added five additional scholarships. This year the RLW Foundation was proud to award fifteen Attleboro High School seniors scholarships valued at $777 each. 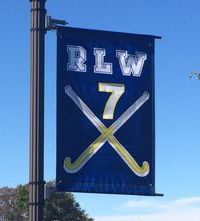 The $777 value is in recognition of her #7 field hockey number and her birthday February 21st. Every year, the Rebeckha Lynn Whitefield Foundation is proud to present Attleboro area high school seniors financial scholarships to put toward their upcoming college tuition. Go to your respective high school Guidance Department for information and an application or click the "RLW Scholarship Application" to the right to printout an application. You can also contact Stephanie Perches, from the RLW Foundation, at 508-369-3790 or sperches313@gmail.com for additional information. Please printout and complete the application and bring it to your high school counselor for proper submittal by April 1, 2019. 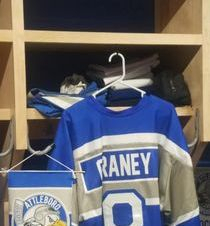 Attleboro High School hockey players were excited when New England Sports Village opened its ice rink facility more than a year ago, giving them a place to play in their hometown. And they were excited to have a locker room of their very own in that building. But the room didn’t come with lockers, which made for a helter-skelter mess. 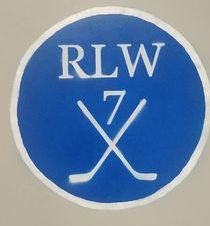 That’s now changed, thanks to The Rebeckha Lynn Whitefield Foundation and two AHS hockey boosters with carpentry skills. 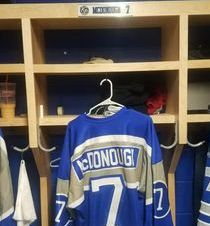 The foundation donated $2,500 for materials to build 20 lockers for the players and coaches of the team that last weekend won the Fairleigh Dickinson Tournament on Martha’s Vineyard and has also qualified for the state tournament. Bill McDonough and Mark Arruda donated their time and skills to build the lockers. McDonough, whose son plays on the team, is the city’s building commissioner and Arruda is his assistant. He said it took about 10 days to complete the lockers working at night and on weekends. 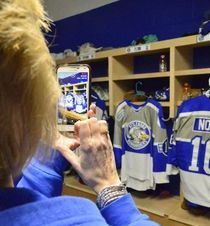 “It gives the kids a real sense of pride,” McDonough said. 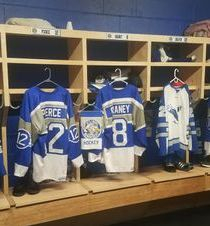 Each of the lockers has a name plate, hangers for skates and clothes and a compartment below to store personal items. 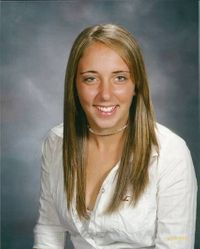 The foundation — a charity dedicated to the memory of Rebeckha Lynn Whitefield, a 17-year-old AHS student who was killed in a crash in 2008 — has donated more than $400,000 to support families, education, sports and community programs throughout the region. A HUGE Thank you to Mike Whitefield & The Rebeckha Lynn Whitefield Foundation for your very generous donation to the AHS Cheer Booster Club. We cannot thank you enough for your support!!! 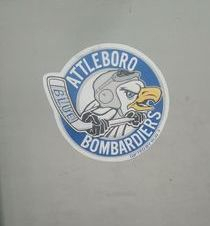 Attleboro Whitehawks owe a BIG THANK YOU to the Rebeckha Lynn Whitefield Foundation for the 7 new tackling donuts! 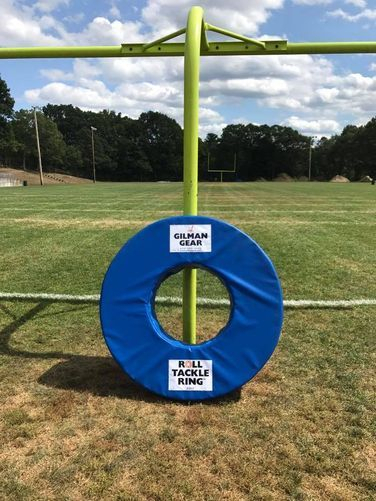 Keep our practices safe, tackle donuts not people!!! Donations of any amount are welcome and appreciated throughout the year. Please click "Donate" to contribute. Thank you! In less than 10 years, Rebeckha’s foundation has already committed to providing financial support of over $400,000 to local families, individuals, programs and organizations.